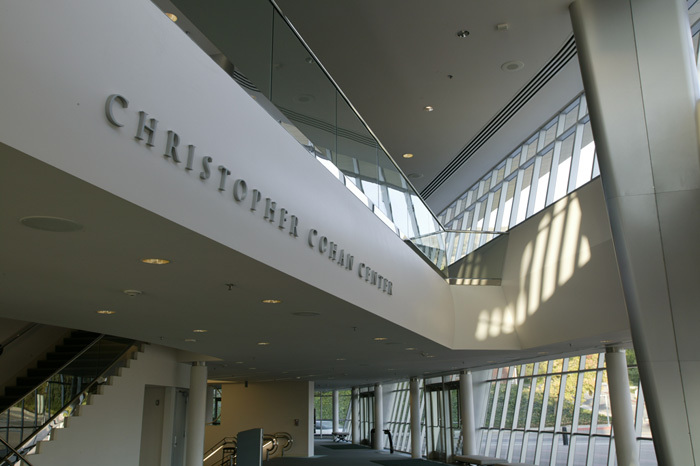 Christopher Cohan Center - Otter Productions Inc. | Otter Productions Inc. Christopher Cohan Center - Otter Productions Inc. Performing Arts Center on the Cal Poly Campus with 1,282 fixed seats – an magnificent performing arts center is the result of a partnership and a true spirit of cooperation between California Polytechnic State University, the City of San Luis Obispo and the Foundation for the Performing Arts Center. The vision came into focus in November, 1986 when these three partners entered into a unique agreement to do what no single entity could do alone – build a state-of-the-art performing arts center to serve the greater San Luis Obispo community.